Mrs. Pauline Noel and her beautiful Christmas Village. Noel’s Christmas arrangment in honor of her late daughter Teresa, who would be celebrating her birthday today, December 13th. 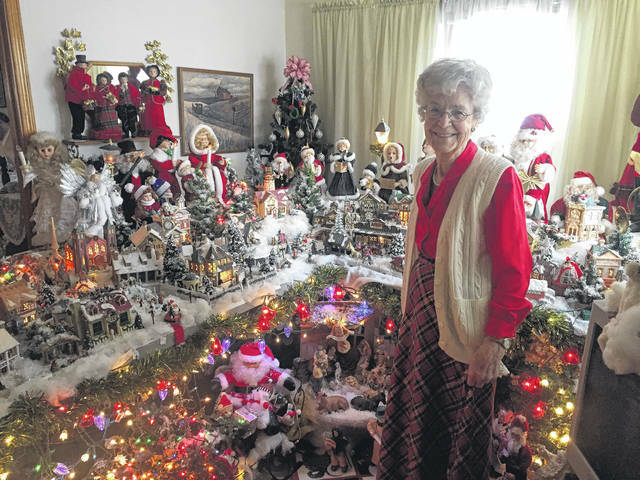 While many people decorate their homes for the Holidays, Mrs. Pauline Noel of Portsmouth, lives in a true Christmas wonderland. Noel, who will be celebrating her 96th birthday this February, has filled her home top to bottom with decorations, as she does every year, with her Christmas Village being her true masterpiece. The village, which Noel originally created with the help of her two daughters five years ago, has its own room in Noel’s house and features many little houses, stores, carolers, and its own nativity scene. Noel has been collecting pieces for her village for over 33 years, and recalls many fond memories of finding and receiving special pieces of her collection. Noel’s favorite piece of her city is a home where a family can be seen gathered around a Christmas dinner, and she has centered the rest of her Christmas Village on the tiny home. Noel’s home also has several Christmas Trees, Santa Claus’, and dozens of Poinsettias. Noel has been at the same address for 73 years, and still surprises those who stop by with the volume of her Christmas cheer. 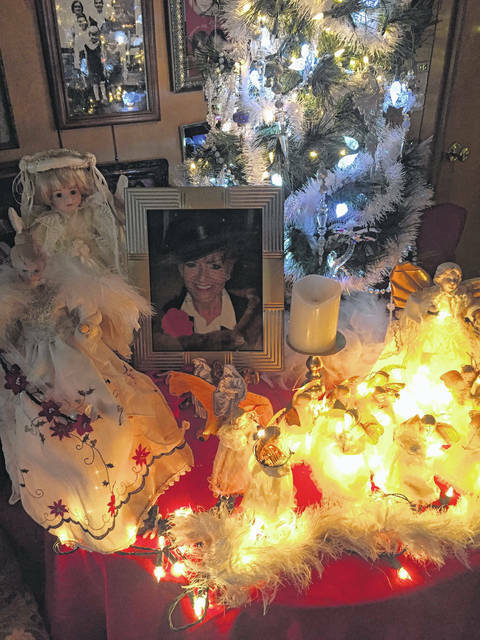 Aside from her village, a very special Christmas arrangement can be found in Noel’s living room where a picture of her daughter Teresa, who passed away last November, sits surrounded by angels. According to Noel, after her daughter passed away in 2016, she didn’t feel like celebrating Christmas as usual. This year, however, Noel has used her love for Christmas as something to keep her mind busy and occupied, and knows it’s what Teresa would have wanted. “She loved Christmas too,” Noel said. “My daughter Martha told me, ‘Mom, you know how Terry loved Christmas. We’ll do it for her”’. Noel says her daughter Terry (Teresa), was her real Christmas doll. Born just 12 days before Christmas. Noel’s love for Christmas started at a young age, and she has many wonderful memories of spending Christmas with her parents, three children, and late husband Clay. Although she has faced some tough times, Noel feels she has lived a very blessed life.